1) An Electronic Funds Transfer (EFT) is the most common type of money transfer. It involves a transfer from one bank to another, with the use of a payment card and a payment system, such as shopping in a store and paying with a debit card. While a convenient form of money transfer, it requires both parties to be in the same location or to use the same website for online shopping, and it does not allow transfers to individuals that do not have a payment system. 2) A Wire Transfer is the standard system used by banks. It is usually an international payment made from one bank to another. Most companies use wire transfers for payments to other foreign companies. It is an easy way to make a payment, but the banks usually charge large fees and do not always provide the best exchange rates for different currencies. 3) Money Orders have in the past been a very common way for people to send cash to each other. The payment is usually in the form of a check or money gram, both of which are cashed in at a designated location. The fees are reasonable, but they require both parties to visit a branch of the same company, which is not always possible in some areas. 4) Remittances are transfers of money by foreign workers to people in their home country. These types of payments are becoming a huge economic force in many countries that have people working in other areas of the world. Increased globalization will only see a further increase in this type of transfer. Some governments and banks have even adopted new systems to make sure these payments can be processed with minimal hassle for both parties. 5) Online Money Transfers are the newest form of money transfers, and also the largest area for growth. The convenience of money transfer apps makes sending money from one country to another, not only easy but also cost-effective. The apps allow funds to be transferred between bank accounts, through debit or credit cards, or even through mobile wallets, making it possible to send money both quickly and easily with added data protection. There are a couple of online money transfer providers available, such as (but not limited to) WorldRemit, Azimo, TransferWise, CurrencyFair or Payoneer. In today’s global age, sending money to other countries is a regular occurrence. Only a few decades ago, it was impossible to send or receive money without going to a financial institution or money wiring service. Not only is it inconvenient for most people, it can be dangerous in countries with high crime rates. A criminal can easily know where people will pick up cash, and how they can steal it from them. In today’s age of internet and technology, sending money to other parts of the world only requires an internet connection and a smartphone or computer. It is not only safer, it is also more secure and convenient for both parties involved. There are many reasons that people need to send money around the world. Whether it is a worker sending money home to family, or someone sending money for a holiday, or a person sending money to a company for work they performed. There are numerous reasons. Because money transfers are so common, they can also be used by criminals to launder money, which is why there are so many regulations on who can send money where, and how much can be sent. Money Laundering is the act of trying to hide the true, and criminal, origins of the money, usually cash. This could be from drug dealing, illegal weapons dealing, insider trading, computer fraud, human trafficking, poaching, or any other illicit forms of trade that are illegal. Criminals will try to use legitimate business to hide the original origin of the money. Hence the term ‘laundering’ as they are trying to ‘clean’ the real source of the money. This type of money is also commonly used to fund terrorism. Money laundering takes place in multiple steps. The first step, usually called ‘placement’, is when the criminals deposit their illegal funds into the financial system. This can be in the form of cash deposits or purchasing of monetary items, such as cheques or money orders. Once the money is in the system, the criminals will then try to hide the true origins of the funds, through the process called ‘layering’. This is often done through money transfers sometimes disguised as payments for services or other such ‘typical’ transfers. After the money is ‘cleaned’ the criminals can then withdraw the money as if it was legally obtained from the beginning, this final step is called ‘integration’. The money is then a part of the legitimate financial system. Money laundering takes place throughout the world but as José Pedro de Morais the Governor of the Banco Nacional de Angola says in his article The Fight Against Money Laundering – An African Perspective, ‘Illegal transactions or financial discrepancies can take place anywhere in the world. There is, however, a lower risk of detection in African countries because our compliance programmes are often not as robust as they should be and in some cases simply ineffective.’ Informal economies in Africa, along with the abundance of valuable resources, such as precious stones and oil add to the criminals’ ability to hide the illegal origins of their money. Viewing the steps involved in money laundering, it is easy to see that regulations must be put in place to make sure money transfers are legal and of legitimate means. 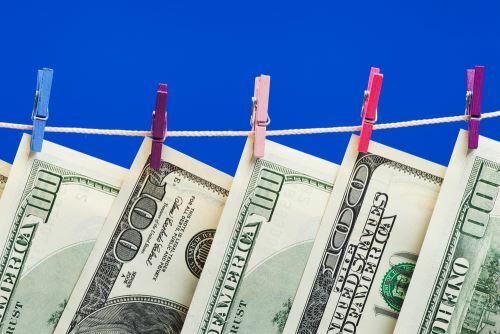 There are several different organisations that help combat money laundering throughout the world including the global organisation called the Financial Action Task Force. There are three regional bodies within Africa that are working to combat money laundering. They are the Eastern and Southern Africa Anti-Money Laundering Group (ESAAMLG), the Middle East and North Africa Financial Action Task Force (MENAFATF), and the Inter Governmental Action Group against Money Laundering in West Africa (GIABA). All of which work to adopt and enforce the guidelines set out by the FATF. In 1989 the Financial Action Task Force (FATF) was formed at the G-7 summit in Paris. According to their website, the ‘objectives of the FATF are to set standards and promote effective implementation of legal, regulatory and operational measures for combating money laundering, terrorist financing and other related threats to the integrity of the international financial system.’ The Financial Action Task Force is a ‘policy-making body’, which means they are in charge of making recommendations on how best to fight criminal financial transactions. The Financial Action Task Force currently has 37 different countries as members from around the globe. They are the leading AML/CFT organisation in the world and have been developing ways and means of combatting criminal finances since their formation. The FATF Guidance on Anti-Money Laundering and Terrorist Financing Measures and Financial Inclusion set forth the groups recommendations. As stated on their website, the ‘Guidance paper focuses on ensuring that AML/CFT [Anti-Money Laundering/Counter-Financing of Terrorism] controls do not inhibit access to well regulated financial services for financially excluded and underserved groups, including low income, rural sector and undocumented groups.’ The FATF sees the importance of balancing fighting crime, with allowing law-abiding citizens to conduct financial transactions with minimal difficulty. The FATF recommendations were created to help countries combat money laundering within a framework that can be altered to suit the individual country. There are six main steps that are identified by the recommendations as essential to combating money laundering. The first is to identify risks and in turn to create policies and domestic cooperation. Second, to pursue money laundering, financing of terrorism, and financial fraud. The third is to then apply preventive measures for the safety of the economy and financial infrastructure. The fourth is to establish authorities that can investigate, enforce and supervise the safety measures. The fifth is to ensure transparency and availability of information. The sixth and final step is to ‘facilitate international cooperation’. The main FATF recommendation that affects individuals trying to send or receive money is called ‘customer due diligence and record-keeping’ (CDD) which is implemented by the financial institutions of countries in which crime is present in order to limit money laundering possibilities. It prohibits anonymous or fictitious names for accounts along with requiring detailed record-keeping for all transactions. Banks are recommended to use CDD for several situations when a business relationship is first established when a transfer is over USD/EUR 15,000 with added specifics for wire transfers, when there is suspicion of money laundering, or when previous information is brought into question. The CDD recommendation means that banks must keep detailed records, along with requiring identification from their customers to verify their identity and the source of their funds. The specifics for wire transfers are in place to make sure all transactions can be traced. The threshold for transfers under the recommendation is USD/EUR 1,000. The person sending money must supply their name, account number along with a verified address. The person receiving the money must provide their name and account number. These guidelines are in place to stop money laundering and the criminal activity which produces the proceeds of crime. Controlling money laundering is essential to controlling crime and terrorism, and in turn, helping to make the world a safer place, and for maintaining the stability of the financial system. Because money laundering is an issue, regulations have been set up to prevent criminals and terrorists from hiding their money and as a result, normal business must be conducted within these guidelines. While these guidelines will not stop someone from sending money where they need, it can add complications and delays, so it is best to be aware of them before running into issues that can be avoided. Often it is the case that it is easy to send money to Africa while being more complicated to send it out from Africa. The ease is due to the country of origin rather than the destination country. While there are guidelines from FATF and the regional bodies, not all counties economies are the same and therefore, do not have the same sort of restrictions. Counties with well-established banks and regulated economies are easier to send money out of because there is less likelihood that the money being sent is illegal. Smaller, less developed countries may have stricter regulations because it is harder to determine where the money originated from. For example, a foreign worker living in the EU sending money to Africa has a variety of choices of sending money. The wages they are sending were probably processed through a local bank, so the origin is not in question. But a worker in Africa may have a limited number of choices when it comes to sending money, especially if they are paid in cash. The person sending money out of Africa will need to consider the regulations in the country that they are sending money out of. Nigeria is one country that has very strict regulations on money transfers. They only allow bank to bank transfers into the country, but the funds are available right away. They also allow mobile airtime top-ups. When it comes to sending money out of Nigeria, it is only possible to do so through a bank or through either Money Gram International or Western Union. The country has strict regulations due to criminal activity and the Central Bank of Nigeria has only authorised the two major companies to offer transfer services outside of the banking system. South Africa also has strict regulations. When sending money into the country, instant cash is available, but only through banks. For larger amounts, bank transfers are available, but they can take up to three days to process and may require the recipient to complete a Reporting Mandate form before receiving funds. South Africa is the only African country that is a member of the FATF, which means they adhere to strict regulations to prevent money laundering and other criminal activity such as tax evasion. While this may make transferring money a bit more time consuming, it should not stop legitimate transfers from happing. Ethiopia also has limited money transfer options. It is nearly impossible to get money out of the country. Funds going into the country must go through a bank, whether they are bank transfers or cash and can take up to two days. They do have a system for remittance payments into the country that is meant to ease the flow of money into the country from expatriates and foreign workers, but they are regulated by the banks. Ghana only allows money to be sent from banks within the country. When sending money to Ghana, there are a few options. There is the usual instant cash pick up which is handled by banks, and bank transfers that can take one to two days. They also have mobile money available for MTN Ghana and Airtel Ghana users. There are no fees for transferring money through the mobile wallets, but there are limits of about USD 400 per day and USD 1000 over thirty days. There are fees associated with withdrawals from the mobile wallet that customers should also consider. Ivory Coast also has mobile money available for incoming transfers through MTN. They do set an account balance limit that cannot be exceeded. This means a transfer will be rejected if it would put the account above the USD 2,500 limit. They also have cash transfers available as most other countries do. Bank transfers usually take a day and are available at all banks in the country. Kenya has cash transfers and bank transfers for incoming money. Any outgoing transfers must be handled by banks. They also have mobile money available through M-Pesa. The limits are USD 5,000 for any thirty days and USD 700 per transaction with only 20 transactions per month allowed. Again there is an account balance limit for the mobile wallet. For Kenya the limit is USD 1,000, they also have a similar limit on how much a person can send in a single day. So how do online money transfers work? Similar to EFT, there is a transfer of funds between two parties. Online money transfers are the modern day equivalent to the old fashion money wiring. Unlike its predecessor, transferring money online is almost instant and much more secure than before. There is no chance of any physical mix up as all the information is electronic. This also means that the information for both parties is secure. The process starts with both parties registering their banking information into their chosen money transferring app or website. This information is not provided to those sending you money or to those receiving it, it is used by the system to verify your identity. The only information that is exchanged once the transfer has been made is the encrypted date required to make the transfer. So if the data was lost, no information would be lost or compromised in the process. Online transfers are available to anyone that has a bank account. Mobile money transfers are available to anyone that has both a bank account and a mobile phone. Of course, an internet connection is also needed. 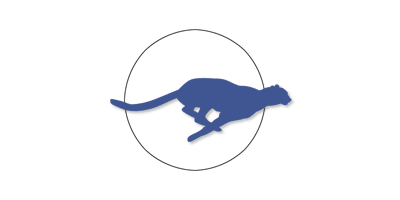 The most convenient aspect of these types of transfers is the ability to complete them whenever and wherever you need, instead of having to visit a local bank or wiring service. As with any kind of financial transaction, it is important to be aware of any fees or exchange rate information that may apply to the transaction. Using a website like apps-for-money-transfer.com can help you choose the right app for your online money transfer. It can also help you learn about what fees you may need to pay and the security measures that are put in place to keep your information secure. The convenience of online money transfers is sure to see the continued growth of the industry and in turn growth of apps and websites that are available for use by consumers. FATF is an international anti-money laundering body which has developed 40 recommendations to be implemented by states to conquer money laundering. The recommendations where drafted in 1990 but have been subsequently revised a number of times. A further nine special recommendations were drafted in 2001 with specific focus on terrorist financing.